The (I’m advised sincere) but confused article by Shmuley Boteach should not remain without counter-comment. I will copy his article below and intersperse my comments. Messianism is the world’s most powerful idea, humanity’s most compelling vision. Messianism, which presumably is a word used because it over-focuses on WHO may be the Messiah, as opposed to the condition of the world at such a time, is not the world’s most powerful idea nor humanity’s most compelling vision. Not only is it the underpinning of the world’s most populous religion, Christianity, it is also the engine for human progress itself. If Jesus is the underpinning of the world’s most populous religion, that person (as opposed to the euphemistic messianism) then that is what it is. It is no more than that. If it means that people act in a certain way, which can be considered moral and ethical, and most importantly not missionary, then that is good. There is no evidence in Boteach’s statement that it is the engine for human progress. This is a statement without a presentation of any illustrative proof. Only through a belief that history is not cyclical but linear, that positive steps in human advancement are cumulative rather than short-lived, that as a race we can step together out of the shadows and into the light, can there hope for collective human progress. There are some mixed metaphors here. History is indeed cyclical. Boteach’s mistake is that if one proceeds in a circle, one cannot increase energy. This is of course demonstrably wrong. It is as wrong as assuming that one who travels in a line, is “growing”. They may in fact be dying, and reaching their end point. Boteach again uses the term progress. He calls it “collective human progress.” He has not, however, seemingly made any effort to define what he means. It is therefore fascinating to witness – once a year – the tremendous energy unleashed by the Chabad messianic movement as it congregates and detonates at world Chabad headquarters in Brooklyn. Having never been there, I have heard that it certainly used to detonate a special extended holiness, however, anyone who has been in the State of Israel, and experienced Succos in Jerusalem, Hevron and the surrounds cannot help but know that they are actually on holy ground, enveloped by a sweeping holiness. that is unleashed and detonated. The same can be said for the “second hakafos” in Israel. That being said, I would posit that even Boteach acknowledges that Brooklyn now, is not the Brooklyn of 25 years ago, and the shining star that illuminated that section of the world, is sadly in another place. There is now much binge drinking where people either drown their sorrows or try to reach moments of detached ecstasy as a substitute. In Melbourne, I haven’t heard a good farbrengen, for example, since Rabbi Groner and those before him departed. Let me know where one is, and I’d love to be enthused by an outpouring of the Torah of Simcha. The Jewish festival of Sukkot brings together two very different strands of the global Chabad movement. On the one hand, there is mainstream Chabad comprised of residents of Crown Heights – the global hub – together with the worldwide network of Chabad emissaries. Their strength is their professionalism, dedication, and impact. On the other hand there are the Chabad messianists, a minority to be sure, but vocal, visible, determined, and brimming with life. Here I assume Boteach defines a Chabad Messianist as either a chanter of one line mantras, or one who imagines he is receiving wine from nobody, or perhaps one who refuses to believe there is a filled grave. It would be helpful if Boteach defined his terms. There are many silent ones who pine for redemption. 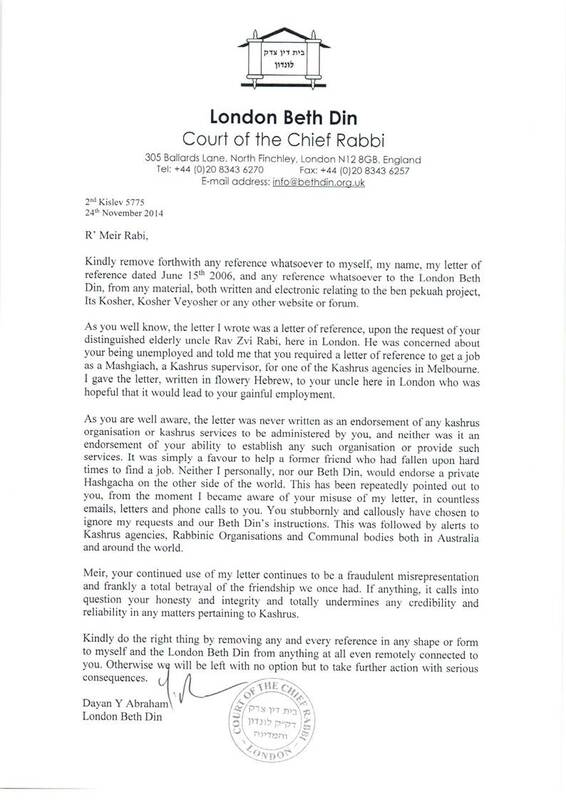 Some will internally hope that by some Divine rule it will be their Rebbe. Others (a very very small minority) will think this issue of identifying the Messiah, is actually a thorough and useless waste of time. I assume he speaks not about the elohisten. Mainstream Chabad is uncomfortable with the messianists, believing they give both the movement and the Rebbe himself a bad name. The messianists are millennial, apocalyptic, and, to many minds, irrational. They want to push both Chabad and Judaism into the end of days. I don’t see them as irrational (but note, I don’t know which category Boteach refers to). I see many of them as post-justifiers. They will cut and dismember Jewish tradition as espoused by the Rambam and acknowledged by the rest of Jewry. Those who think there is nothing in the grave, need psychiatric help. But there can be no denying that they have tapped into an energy source that appears near infinite. I do not know what “near infinite” means, let alone in this context. When I was a young Chabad student in Crown Heights what I remember most was the limitless energy we all experienced in the Rebbe’s court. On Sukkot we could dance nine days running without tiring. We could go for a week with barely any sleep. The Rebbe – then in his eighties – set the pace with superhuman strength and inexplicable vigor. Although I was not and am not a Chabadnik, I agree, based on the books I have recently read and some videos that I have watched, that it would have been an experience to remember. Since then, Chabad has conquered the world and gone mainstream, sprouting educational centers in every point of the globe. My wife and I recently spent Shabbat with Chabad of Korea right after I spoke at Seoul’s Olympic Stadium at a global peace summit. A few weeks earlier I had spoken at Chabad of Aspen, Colorado. The local Chabad centers in these two very different places had in common the outstanding young Chabad rabbis, true soldiers of the Jewish people. Watching their impact on their respective communities was inspiring. I think that Chabad has sprouted and grown, but I don’t know about conquered the world. If there was one word that I was left with after reading the three recent books about the Lubavitcher Rebbe, it was either the word dedication or positivity. I think Chabad has influenced many in that direction. But for all that, Chabad today – as a movement that has now gone mainstream – has learned to eschew controversy. Gone are the days when Chabad agitated for the territorial integrity of the State of Israel and public stands against trading land for a fraudulent peace. Those days aren’t gone!?! I hear this message constantly and unwaveringly today. Gone too are the Chabad emphasis on messianism as being central to Judaism and the Jewish future. This depends on the Shaliach. Some have adapted to their clientele while others will unwaveringly soldier on with the original message in all it’s vigour and yellow paraphernalia. Chabad today is effective if not conventional, essential if not somewhat predictable. It is predictable because it is a continuation of a message. There is no more central figure to initiate new ideas that are to be brought to the world. That is sad; but true. At the same time, there is an enormous corpus that may be applied to today’s world, without change. Its focus: opening nurseries and day schools, synagogues and mikvehs, looking after special needs children (Friendship Circle) and the elderly, running Sunday schools and day camps. And to quote Carly Simon, nobody does it better. This is also necessary for the mainstream. Jews are abandoning Shules. The latter can’t survive. They must generate income from nurseries etc simply to survive financially! It is to this side of Chabad that I adhere and this vision for the building of Jewish life that I am dedicated. Chabad justly evokes in every Jew on earth a feeling of both awe and gratitude. Which side exactly does Boteach not adhere to? Those that yell Yechi, or those that think it, or someone else? Without Chabad the Jewish world would be up a creek without a paddle. I don’t second guess God, nor do I know what he would have done, but there can be no doubt Chabad’s influence has been very significant. I do not know how a Chabad Chossid prides himself on rationality. My understanding is that there is higher level, called Bittul. I cannot help but be somewhat jealous of the go-for-broke mentality of the other side of the movement, the messianists. The belief that humankind can attain an age of perfection, a belief that Judaism has a global, universal vision that is not limited to Jews, a dismissal of money and materialism in favor of a purely spiritual calling, and placing faith in a great leader who prompts us to embrace that era. I am not jealous of them. Those that think that they have a minyan with two people and eight pictures, or eat on Tisha B’Av have broken with Jewish Mesorah. If Boteach is saying that he admires their perspicacity, ok.
To be sure, I follow the ruling of Maimonides that the Messiah must be a living man who fulfills the Messianic prophecies which rules out anyone – however great – that has passed from this world without ushering in an age of universal peace, rebuilt the Temple, and gathered in all Jewish exiles. That would exclude my Rebbe as it would exclude all the other great leaders of the Jewish people through the ages however much they have devoted their lives to our people. It does, but that same Maimonides said, we don’t really know how things will unfold exactly. Which means I agree with Boteach, but I think he may be selective as a Chabadnik. But that does not change my clear memory of the Rebbe’s incessant and unyielding public calls for Jews to work toward a messianic future, to dedicate every positive deed toward his coming, and to never fear controversy in the pursuit of every aspect of Jewish belief. I once wanted to visit him for a Yechidus when I was younger. However, I felt that I was not worthy of saying anything of substance nor did I have a particular issue that I wanted to raise. As a Cohen, I also knew that if I blessed Jews with love, God himself would bless me. Not withstanding that fact, after reading the three books, I probably would have gone in if I had my chance again, and simply asked for “an appropriate brocho” Those three words. No more, and no less.